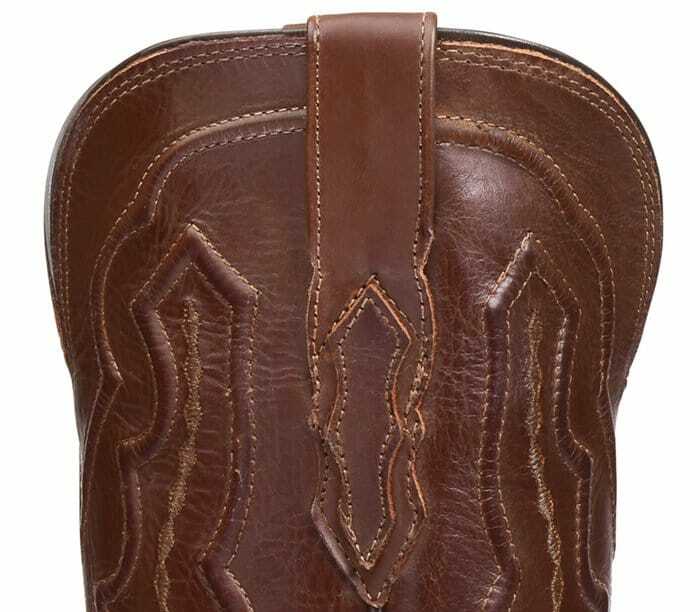 Lucchese is one of the top names when it comes to western-style cowboy boots. This Texas-based brand builds handmade boots using time-honored techniques, which result in well-crafted cowboy boots that have a signature design and fit. 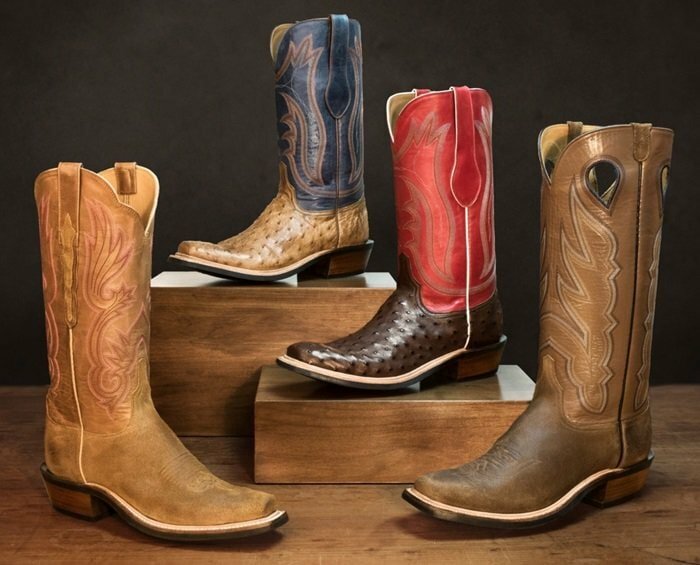 If you’ve been wanting to get your hands on a pair of Lucchese boots, we would recommend these online shops to get your fix. If you’re thinking about shopping secondhand or buying from an unauthorized online shop, make sure to spend some time to inspect the product first. Follow our simple seven-step guideline below to make sure you are purchasing authentic Lucchese cowboy boots. As one of the best boot brands on the market, Lucchese uses the highest grades of leather on all of its styles. The first thing to check when you get your hands on a pair of Lucchese boots is the quality of the leather. Genuine leather should display imperfections and surface pores. Real leather will have some scratches and creases, unlike fake leather which will often look too perfect and even. Real leather also has a natural, musty smell while faux will smell like plastic. 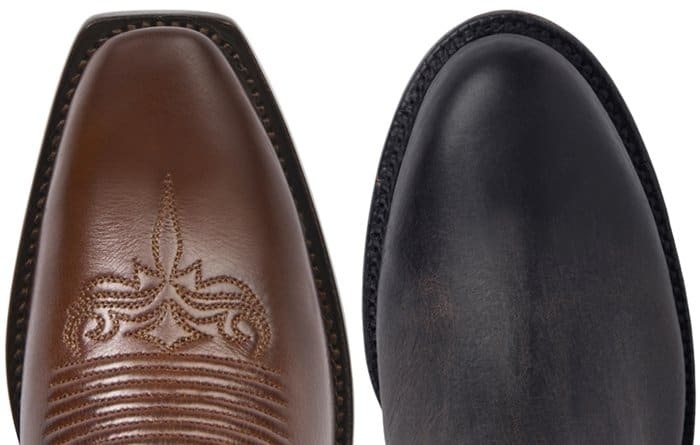 Pay close attention to the stitching details of a Lucchese boot. These boots usually feature an elaborate stitching pattern, so check the pattern for inconsistencies in the design and loose threads. 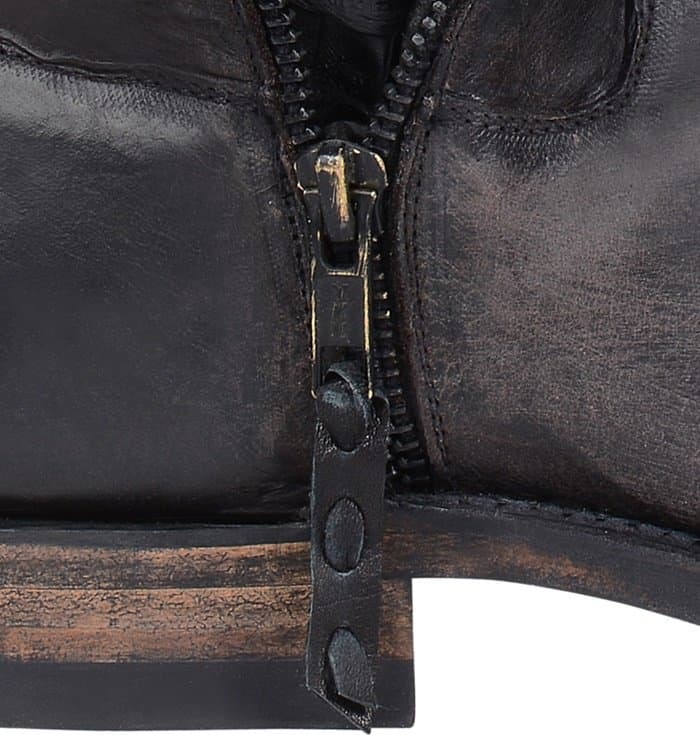 The soles of the boot should be stitched onto the leather uppers and not glued. You should be able to see the heavy stitching visible on the welt and the thread should be the same color as the soles. Genuine Lucchese boots have lemon wood pegs in the construction, which hold the insole and outsole together. All of the seams are double sewn for extra durability. It is first done by machine and then sewn by hand. 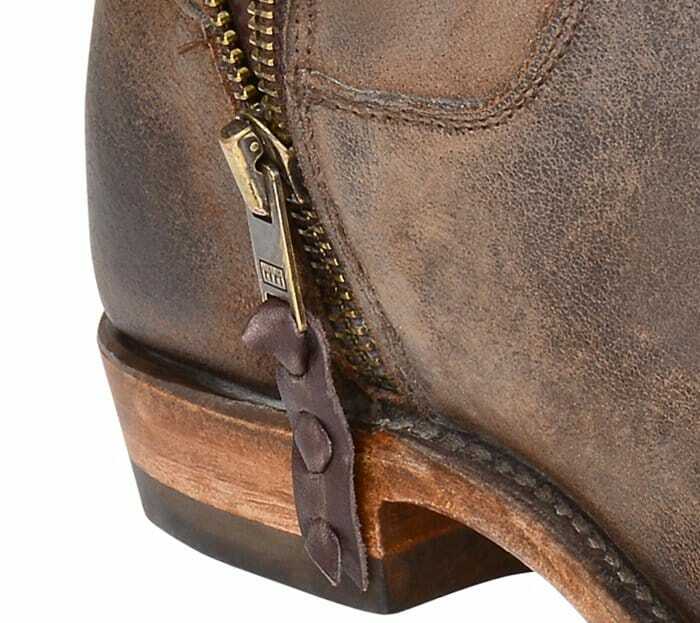 Some Lucchese boot styles have zippers. For those that do, the zippers should be branded either YKK or Riri. Make sure that the zippers are able to glide up and down smoothly. Cheap hardware, which is often used in fake merchandise, is usually defective, even on new shoes. Many counterfeiters create new boot styles, which are not included in the real lineup of Lucchese boots. Familiarize yourself with the styles — both new releases and classics —on the brand’s website to avoid being duped by scammers. Lucchese boots are finished with the brand’s signature stamped on the soles. This can be seen either on the outsole or on the heel, depending on the boot’s style. Inspect the stamp and compare it with the Lucchese image on the brand’s website. Check for proper spacing and font usage. A lot of imitations will have irregularities with the stamp, or won’t even have the stamp at all. Watch the video below to learn more about the detailed process that goes on in making a pair of Lucchese boots.